If you've ever used those little TSA-approved locks to secure your soft-sided luggage, it turns out you may as well have fastened it with a paper clip. As the following, entirely-too-long video shows, all a determined (or even lazy) thief needs to rob you of your precious souvenir mugs is a measly ballpoint pen. Jump to the 50 second mark to have your entire travel-world thrown into a tailspin. Yikes. 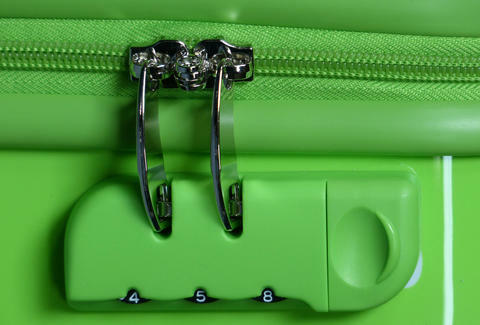 While investing in a piece of bulletproof luggage might cost you a pretty penny (and score you a free cavity search courtesy of the TSA), it's just about the only way you're going to rule out this kind of chicanery while you're traveling. Something to keep in mind the next time you're passing through any of the world's more unsavory places. Gianni Jaccoma is an editorial assistant for Thrillist Travel. If you broke into his luggage, the only things you'd find are disappointment and old mints. Follow him to safer travels on Twitter @gjaccoma.